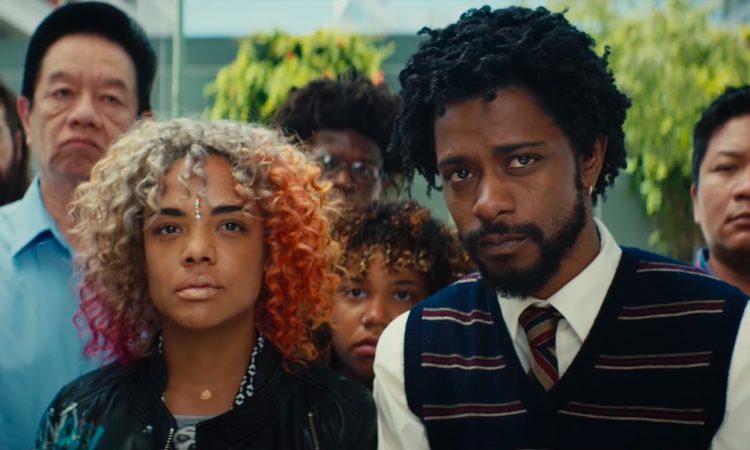 Boots Riley’s impressive first feature, Sorry to Bother You has uncomfortable truths to impart, but has terrific fun doing so. It is the sort of film Hollywood has almost forgotten how to make, helped by some inspired casting choices, particularly rapper turned actor Lakeith Stanfield as Cassius ‘Cash’ Green, whose rise from telemarketing ingénue to Power Caller after he discovers his ‘white voice’ comes at a cost to his dignity. There are also standout supporting turns from Tessa Thompson as Cash’s conceptual artist girlfriend Detroit (‘My daddy wanted me to have an American name’) and Jermaine Fowler as best friend Salvador, a natural heir to Giancarlo Esposito’s Buggin’ Out from Do the Right Thing (another of the movie’s touchstones). Is it a comedy or science fiction, horror film or parable? In sticking it to The Man as allegory, Sorry to Bother You may owe more than a passing debt to the Kafkaesque Watermelon Man, Melvin Van Peebles’ bizarre comedy of racial metamorphosis.